The author of this article is one of the members of CVA that has continued to fight to free his homeland from the hordes of enemies that sought to lay claim to it. Any opinions or ideas is of the author and not that of any corporation, alliance, coalition, or that of EN24. When June 5th happened most people assumed the War for Providence would die down. The stations had turned to Faction fortizars and the owners of these newly minted faction citadels either pulled them up or kept them as they were. Of the winners of these stations it had primarily been Legacy Coalition but Provi Bloc was able to maintain 5 of the 80ish stations. The aggressors of this war that committed the most resources was that of Pandemic Legion, Northern Coalition, Purple Helmeted Warriors, and Honorable Third Party. Once a renewed Provi Bloc attacked alongside that of Legacy they were unable to hold onto any of the stations they had taken. Of the 5 ½ months that it took them to take these stations they were freed in a mere week. Pandemic Legion leadership had declared that there was over 100 Ihubs and that Provi and Legacy could not get them all. They were found to be woefully mistaken about the tenacity of the entossing ability of Legacy Pilots and that of Provi bloc pilots fighting for their homeland. The Conflict has taken a new turn. During the Meta Show it was said that that Provi Bloc was delusional if they believed they were going to take and hold Providence after being beaten so badly. So far Provi Bloc continues to defy these expectations by already retaking all but a few systems. The last few systems are controlled by the last groups against Provi Bloc. Of this new phase of War on one side there is Honorable Third Party, Purple Helmeted Warriors, The Rogue Consortium, Ushra’ Khan, with the bat phone of Northern Coalition. Gone are Pandemic Legion with its hosts from the north and most of Northern Coalitions resources. On June 8th Provi Bloc and Legacy celebrated VOPL day (Victory over Pandemic Legion Day). The last citadel of Pandemic Legion was destroyed by a joint Provi/Legacy fleet. With the collapse of PL and NC the smaller groups of this coalition stepped up to fill the void of their retreating allies. Taking several of their allies systems while continuing to build POSes and set down citadels to contest the region. The last major battle in Providence was just over a month ago in Y-M. This is where during the final timer of the Honorable Third Party Forti. There needs to be special mention of this battle. As it was a developed operation on part by Honorable Third Party. The majority of the actors here were Honorable Third Party and Purple Helmeted Warriors and not that of Pandemic Legion and Northern Coalition. The battle was a several series part. As Honorable Third Party had deployed a POS with a cyno jammer. This significantly decreased Legacy being able to utilize their Capital umbrella as a force multiplier for the system. During the Armor timer Legacy Coalition formed a large Rohk fleet but also had an additional 100 man maelstrom fleet that they were not counting on. While Honorable Third did have allies ready to fight there was some worry about the tanking. Since there would be different damage types produced by the legacy fleet. So the idea was to stand down. It was also believed that possibly spies had let loose the ambush that was awaiting Legacy. Going into the final timer Honorable Third Party had lost their POS as well as the jammer. They didn’t talk to anyone about the ambush. They tried to only ping select people about 6 hours prior to the conflict. In fact 10 mins before the time of the attack they only had about 2 hics and 10 dreads. When TEST formed their standard Rohks HTP noticed there was no leaks yet so they started rage pinging for people to get online. Which then 32 Dread Pilots were able to come online. HTP had seen their plans before. If they put out a dread they would send out a ragnorak to kill it. So Sp3ctre380 planned on it to happen again. They took the lessons of Doomchinchilla about being over confident to heart. Doom had lost a 54 billion isk Rorque against that of Provi-Bloc when he became over confident. Honorable Third Party and Sp3ctr380 hoped to get the Titan. Hicters and Dicters were put into the staging system of ERVK to prevent the rapid response or quick reaction force from saving the rag. They sacrificed being on a Titan killmail so that others could gain the Titan Kill. The hics and Dicters were able to delay Legacy long enough on their undocking station that Honorable Third Party was able to score a Titan kill. However, once breaking free from the dicters Legacy Coalition deployed their capital ships to reign vengeance on their foes and vengeance for their lost Titan. Special mention must be given to the FC Meiqur during the conflict as well from Honorable Third Party. Coming from the battle Honorable Third Party and allies won their objective of killing a titan. While Legacy won their objective on killing the Forti as well as winning the isk war. Both sides came away from the conflict with a positive outlook and a good solid fight between both sides. The movie of the battle was done and edited excellently by John Drees of Honorable Third Party and its available to watch here. Talking with Sp3ctr380 he said that when Pandemic Legion came down to Providence they had asked to be blue. Many of us in HTP have friends in Panfam said Sp3ctr380. Providence and Honorable Third Party has had a history of warfare. Providence is the content of Honorable Third Party. They did not want to see Providence put to the torch by Panfam. So Honorable Third Party did express a want to see Provi not destroyed. When Pandemic Legion started fleeing the region with Northern Coalition the rest of the coalition stuck around. As they are PVP alliances and did not want to just give up what they had gained. Honorable Third Party there is no SRP. The players bring ships at their expense and wanted to continue fighting. They wanted to keep fighting in Providence for the territory they have taken. Towards the end of the conflict another entity Ushra’ Khan the elder of CVA by 3 days (Both over 15 years old) has entered the conflict. They have history with their old homeland as 9UY. In fact the station that was placed in 9UY was first made by Ursha Khan. It was their home for 4 years before they left. They have come to the region looking for fights and joining with the other groups against their most ancient of foes the CVA. Since Y-M the fights have been continuous skirmishes with capital and sub-capital fleets between these forces on average of 30-40 billion isk destroyed for each encounter. Each side taking turns being the victor with Provi-Bloc seeing the slight edge during this last month of battle. Provi Bloc has been being more liberal with their capital use. While the skirmishes are no less brutal there is positive turn of events as the civility of the conflict between these forces has increased with good fights in local. So far the only territory that is not under the control of Provi Bloc lies in the H6-CX8 pocket which 5 of the 6 systems are held by either The Rogue Consortium or Honorable Third Party. Purple Helmeted lost two of the three systems they controlled and now down to YQB-22 as their last system. Ursha Khan continues to deploy from their Forti in 9UY in mainly defensive operations. For the Stations they have not been as lucrative as first believed and more of a pain. Once these faction fortizars are pulled up they lose their valuable rigs. So for the most part many of the stations have been kept in Providence for fear of being destroyed once they start the process of unachoring them. For the most part stations turning into faction fortizars was a great spin for content created by CCP. While it also gave good motivation for players to log on and get into fights with the hopes of alliances being able to take and or hold these possibly lucrative citadels. In the end these citadels don’t seem to be the golden carrot that so many people thought they were going to be. The Rogue Consortium was able to destroy a Legacy Rorque as it unanchored and scooped one of the faction fortizars. While Honorable Third Party said would not interfere with Legacy as it tried to evac Faction citadels no such agreement was made by the rest of the current coalition inside providence. Honorable Third Party and allies were able to kill the second fortizar as it attempted to come online in Providence. Provi Bloc members in a rush to repopulate and set down citadels attempted to online a fortizar without telling allies. HTP took advantage of the low numbers and did a lightning raid which killed it. This was the 2nd Forti in a short time that was killed in such a way. Provi-Bloc not to be outshone by this display organized for the final timers of a Northern Coalition and HTP Astrohouses in Y-M. Sev3rance organized in the American Time zone which is primarily the strong time for HTP and allies. Sev3rance aided primarily by Apocalypse Now, Care Factor, CVA, and Coalition Hispania sought revenge from the previous losses. The HTP astrahaus was given up without a fight. In a brief break HTP and allies gathered together to fight over the Northern Coalition Astro. 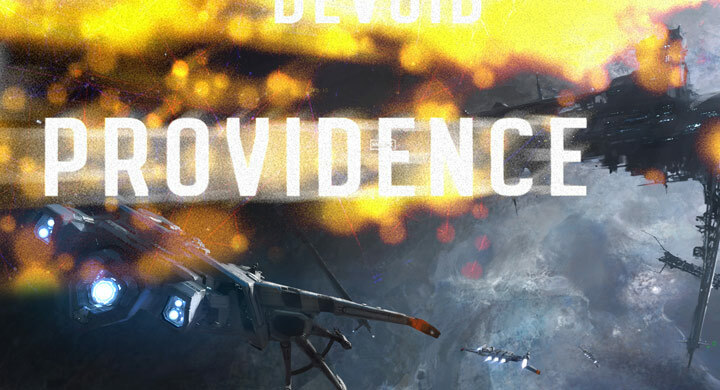 Provi-Bloc in their older doctrine Ferox ships against that of Dreadnaughts and Armegeddons. The FC from Sev3rance Arkadios Sol in a show of excellent FC-manship kitted the larger ships in a ring around the rosy of death. The center that of the Astrohouse. The maneuverability of the Feroxes were able to keep just out of range to the annoyance of the larger ships. Moving past the stations the battle for Providence continues. While the large groups seem to be moving out such as Legacy and Panfam. For those of Pandemic Legion and Northern Coalition that claimed they would kill Provi-Bloc. Those that boasted that Provi-Bloc was dead and that it would be killed into ash like so many alliances and coalitions before I have this to say. For now good reader the battle for the soul of Providence continues. The Paladins of Providence will continue to do their duties and it is not a matter of if, but when all of Providence is back into the hands of Provi-Bloc. I have been a yahoo individuals for some years now. I am just beginning to take advantage of the tools which they offer, one of which being article. I have actually composed a blog site and also wants to recognize if my article are being seen by others. Otherwise after that does anyone know exactly how I obtain my articles read. I am asking for my mom. She doesn’t necessarily intend to make money off them, her objective is to utilize her blog (once prominent) and use it as recommendations to potentially assist her obtain a news article. She has a title for one called “Response to Life’s Issues”. Where can she upload blogs and they come to be prominent? She uploaded it already on WordPress yet there are 3 million people publishing blog sites hers obtains shed in the mix. Any ideas?. What is your viewpoint of personal blogs as well as on-line journaling?